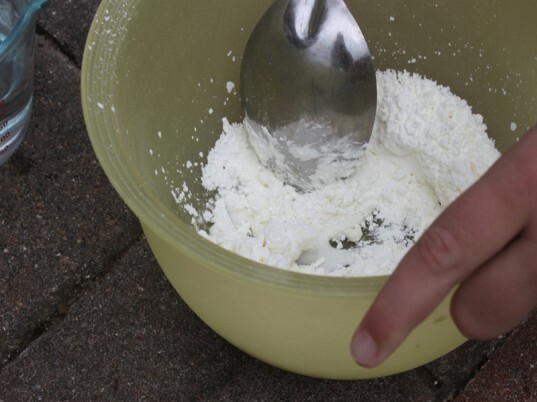 Have your child add the cornstarch to a large bowl. 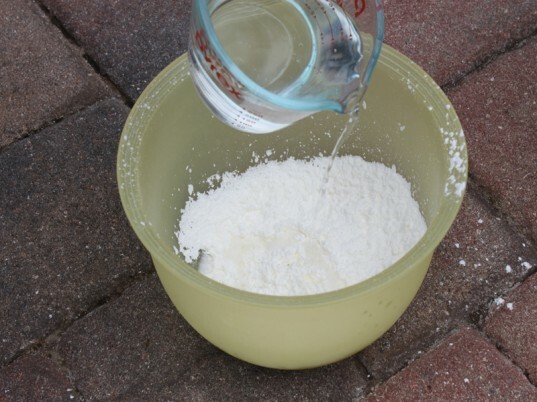 Have your child slowly add water to the cornstarch, a little at a time until a thick syrup consistency appears. 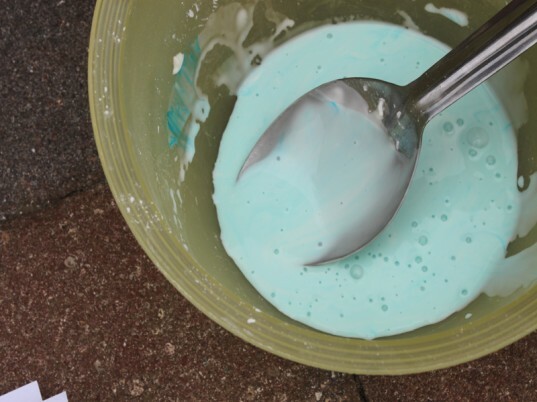 If you would like, you can add a few drops of food coloring. 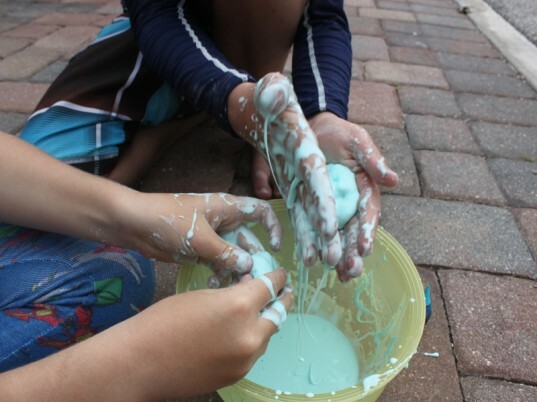 Have your child stick their hands into the Oobleck and squeeze the gooey mixture. 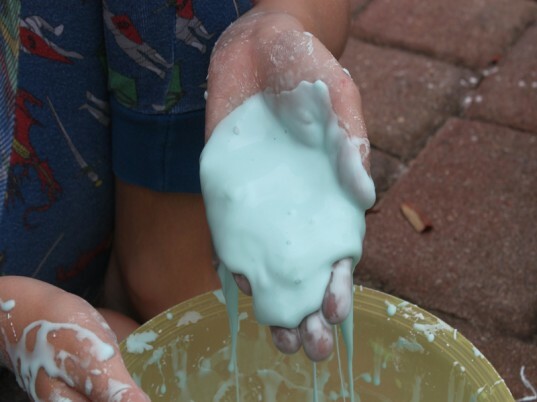 Have them shape it into a ball, then open their palm. 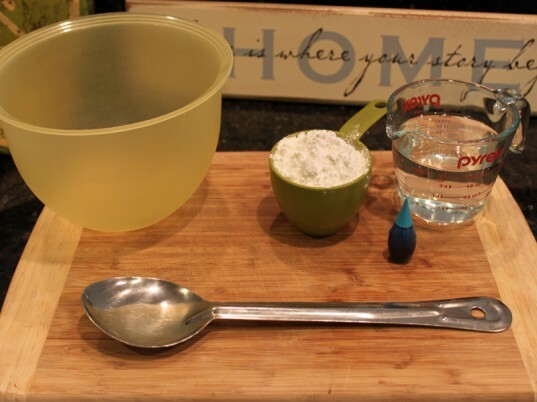 What happens when you pour the liquid, or try to hit the surface with your fist? 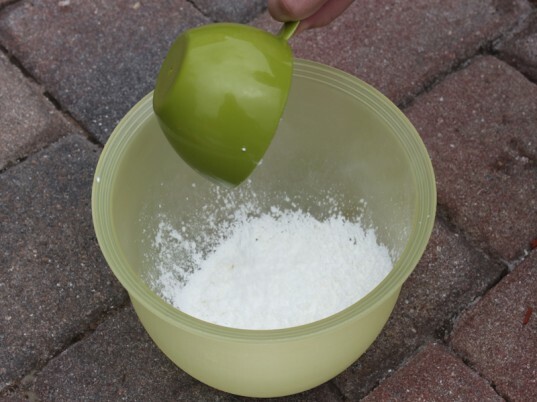 Oobleck is both a liquid and a solid so you can shape it into a ball or you can watch it slip through your fingers as a liquid.